It's Friday, so I thought a FREE download would be appropriate to celebrate today!! I created some fun Valentine's Day Candy Kiss stickers for all of YOU, my fabulous customers and readers! You will need to print these onto 8.5"x11" sheets of sticker paper. You can purchase this type of paper at your local office supply store or if you have time to order online, try this site. They carry a sticker paper which produces great looking stickers! 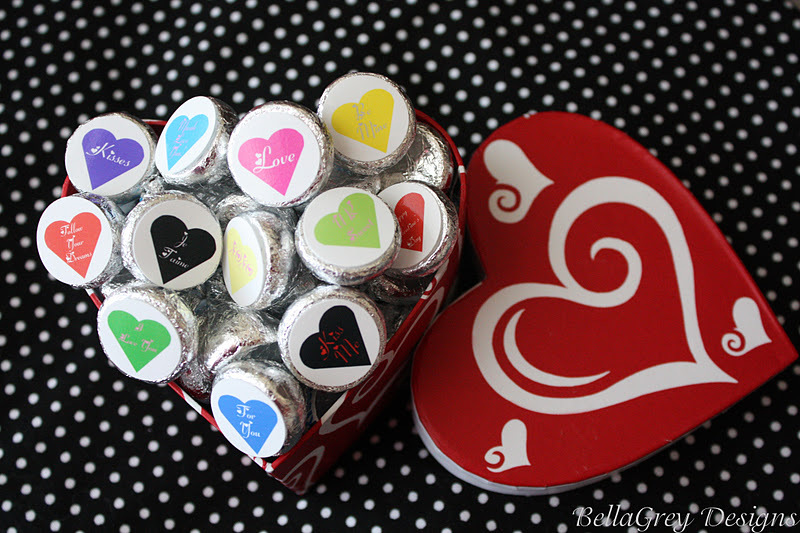 Use a 3/4" circle paper punch to punch them out, then adhere to the bottom of the kisses. I hope you love this sweet freebie!! Thanks to you, we're where we are!! 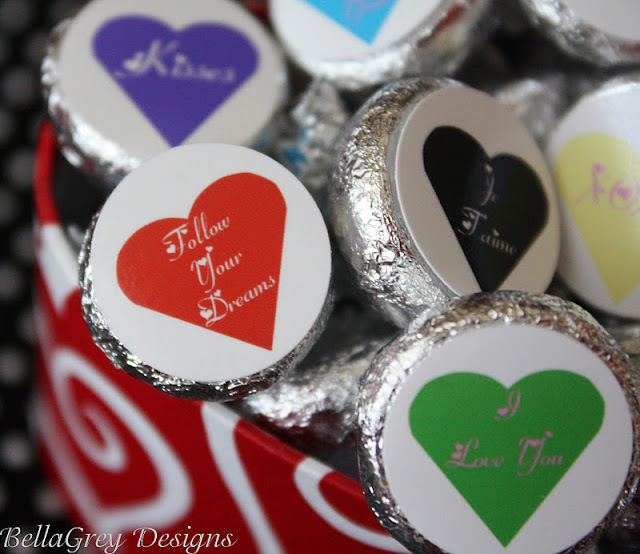 Please feel free to share our kiss stickers with your friends and family!! We love to "meet" new people. Have a Super Great Day! !